Tyler Messerschmidt, Shayne Fleming, Fabio Gimondi and Seth Stubblefield. 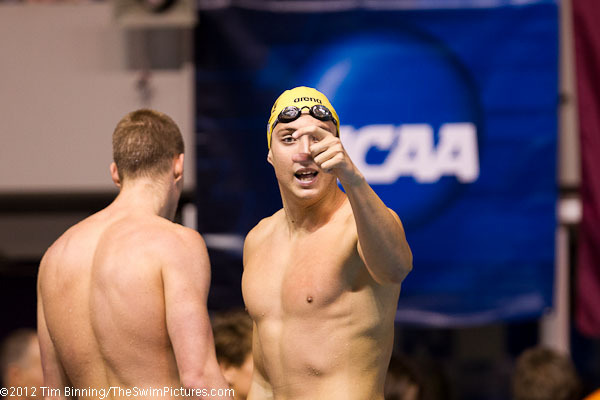 The Cal 200 free relay comprised of three freshman and a sophomore sets the tone for the meet in capturing the first event. 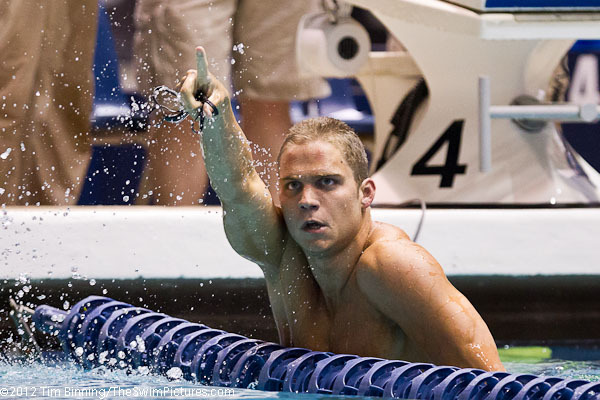 Martin Grodzki of Georgia wins the 500 free in 4:12.95 at the 2012 NCAA Men's Swimming and Diving Championships in Federal Way, Washington. 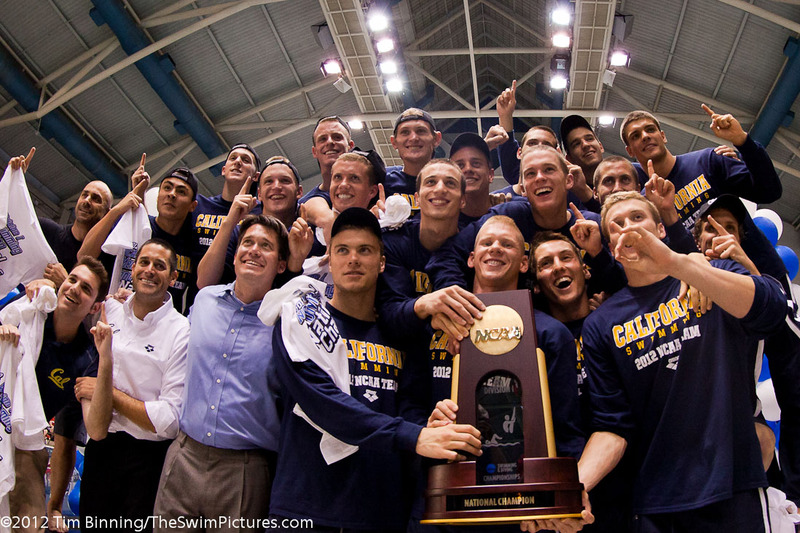 Cal Sophomore Marcin Tarczynski gives the Bears its first individual win of the NCAA Championships taking the 200 IM in 1:41.97. 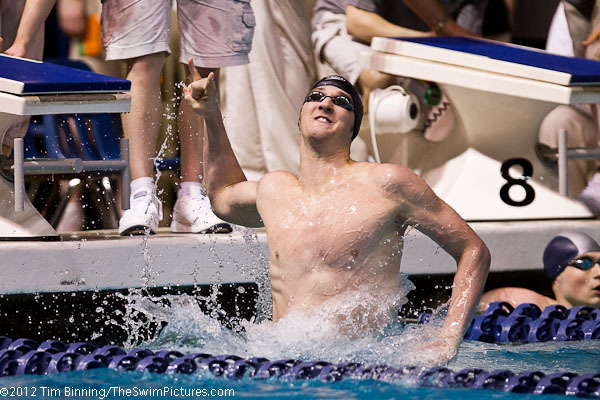 Jimmy Feigen of Texas captures his first individual NCAA title in winning the 50 free in 19.01. 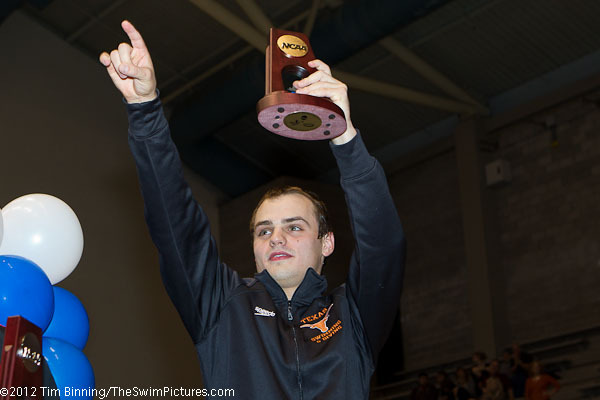 Drew Livingston gives Texas it's second win in a row, claiming victory in the 1 meter diving. 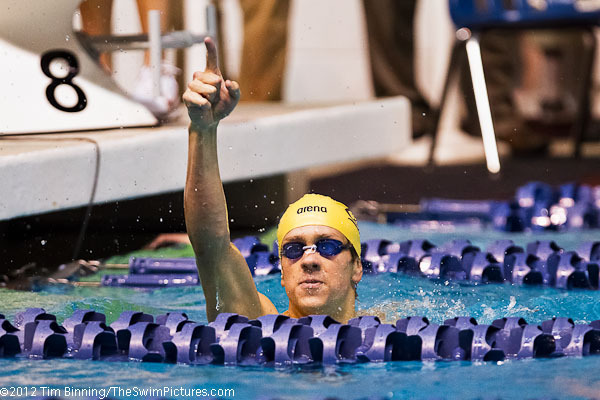 Tyler Messerschmidt of Cal celebrates after anchoring the 400 medley relay to victory. 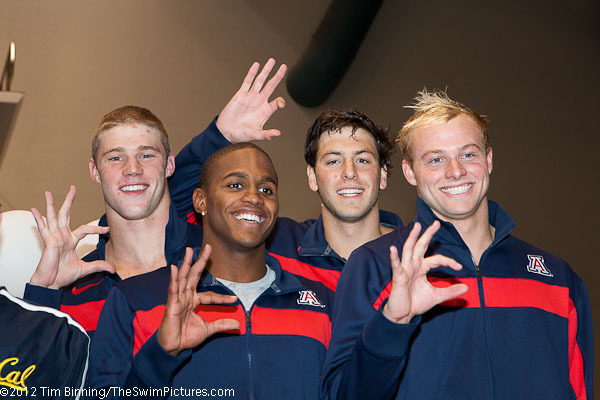 Arizona starts off night 2 of the NCAA Championship with a win in the 200 medley relay. 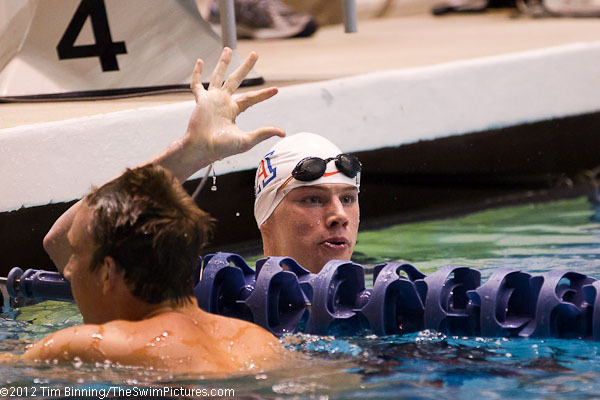 Senior Austen Thompson makes it two in a row for Arizona winning the 400 IM by over 2 seconds in 3:39.37. 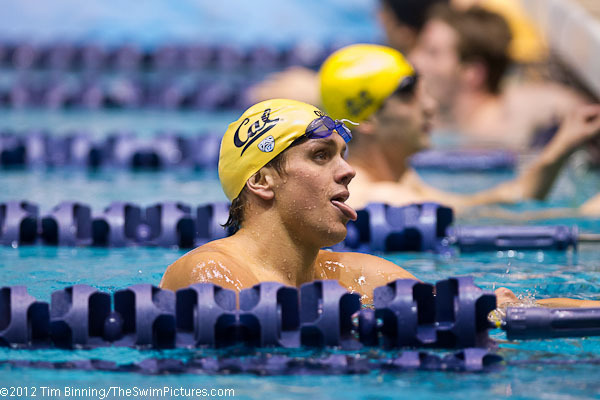 Cal Berkeley Junior Tom Shields wins his first individual event of night 2, taking the 100 fly in 44.76. 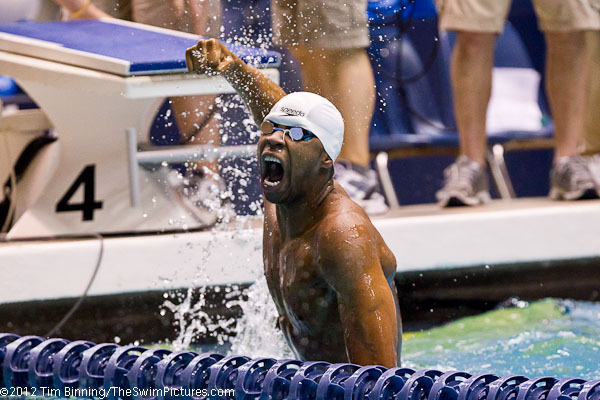 Dax Hill of Texas wins his first individual NCAA victory in taking the 200 free in 1:32.51. 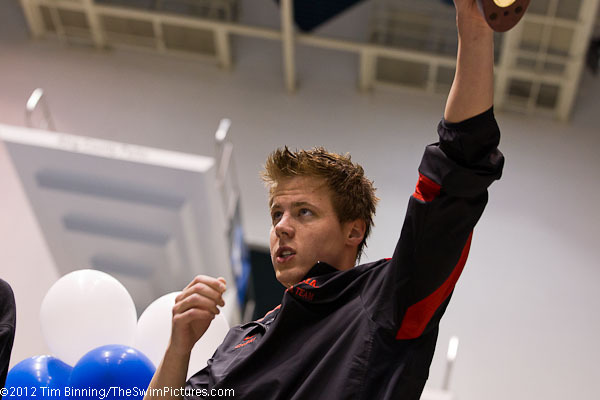 Kevin Cordes of Arizona wins the 100 breast in 51.71. The freshman set the American record in prelims with a 51.32. 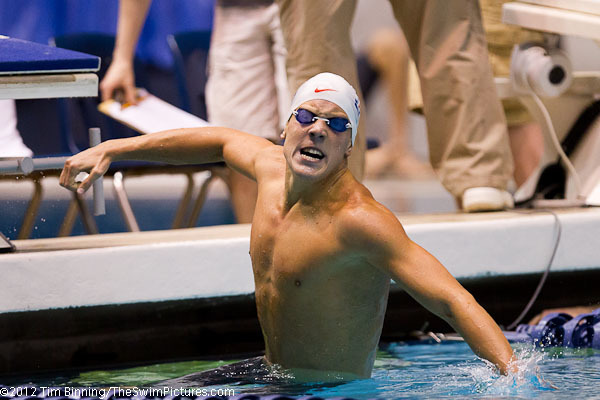 Tom Shields follows his victory in the 100 fly with a 44.86 win in the 100 back. 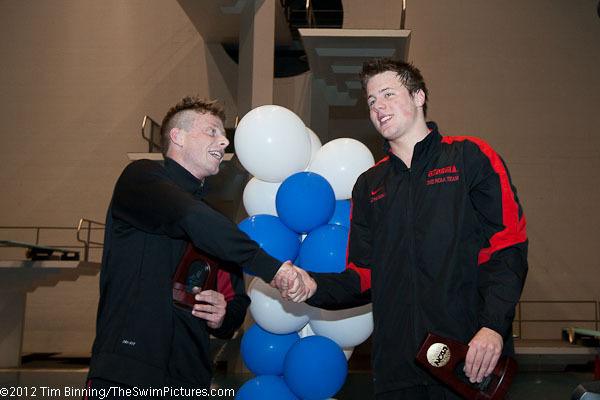 Stanford gets it's first win of the Championships as Freshman Kristian Ipsen wins the 3 meter diving. 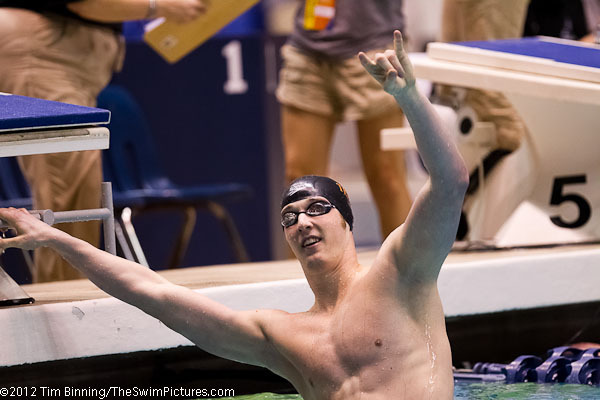 Neil Caskey of Texas celebrates a victory in the 800 free relay. 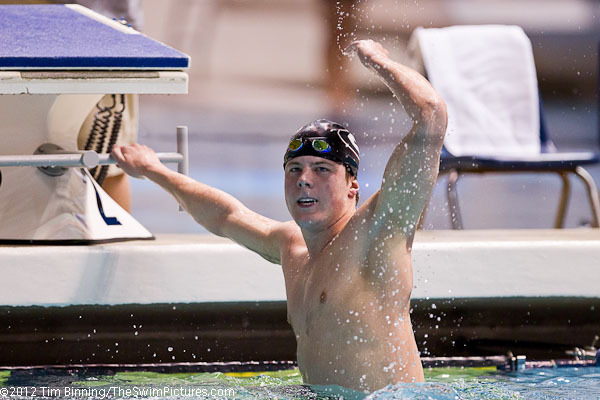 Both Martin Grodzki of Georgia and Chad La Tourette of Stanford broke the longstanding record of Chris Thompson in the 1650. 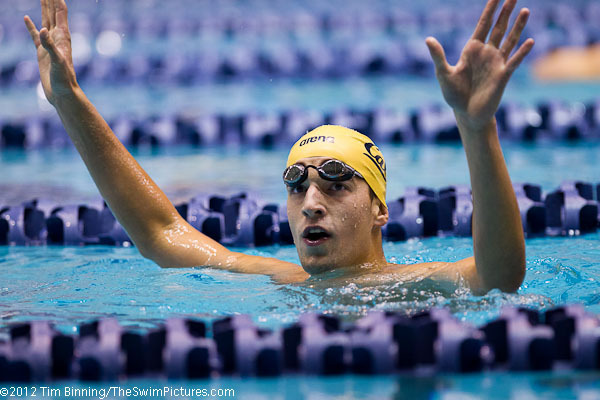 Grodzki''s 14:24.08 sets a new NCAA Championship record and U.S. Open record for the German national. La Tourette second place 14:24.35 is now the American record. 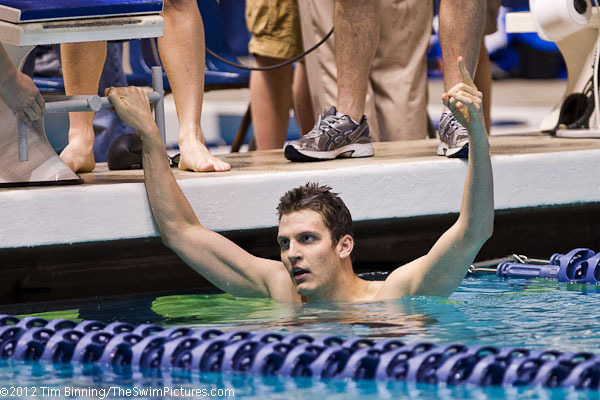 In his final college event, Arizona Senior Cory Chitwood repeats as 200 back champion in 1:39.66. 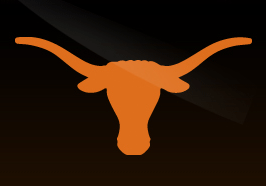 Jimmy Feigen of Texas wins the 100 free in 41.95. 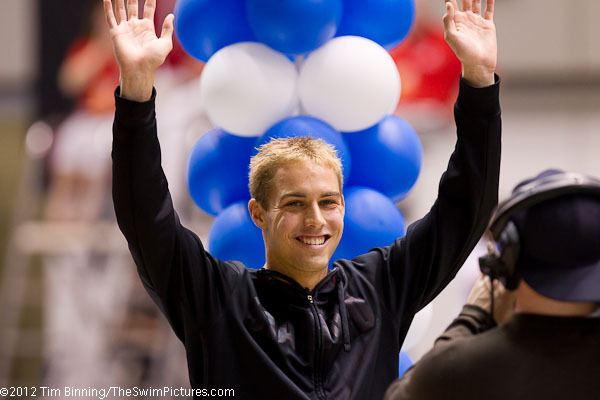 He won the 50 free on night 1 of the 2012 NCAA Men's Swimming and Diving Championships held in Federal Way, Washington. 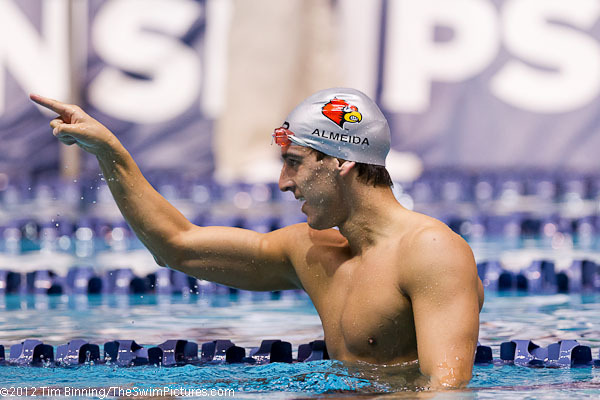 Carlos Almeida provides Louisville with it's first NCAA swimming championship in an individual event taking the 200 breast in 1:51.88. 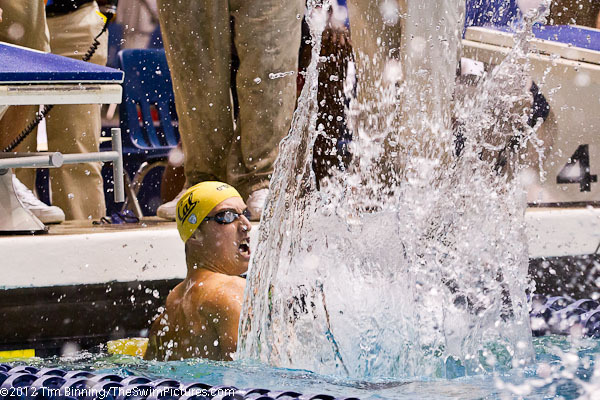 Freshman Will Hamilton leads a 1-2 Cal finish in the 200 fly (1:40.94) dropping almost two seconds from his prelim time (1:42.70). 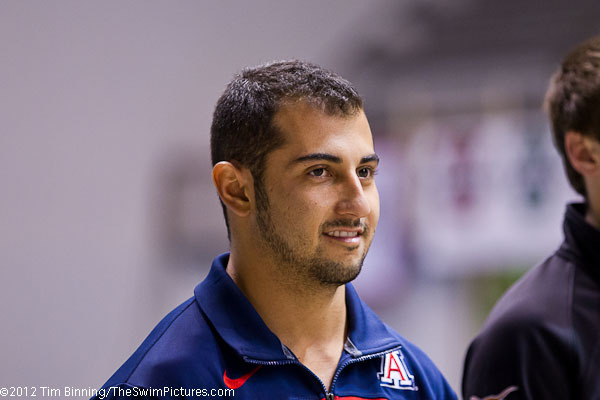 Arizona Senior Ben Grado closes out his collegiate career with a platform diving victory. 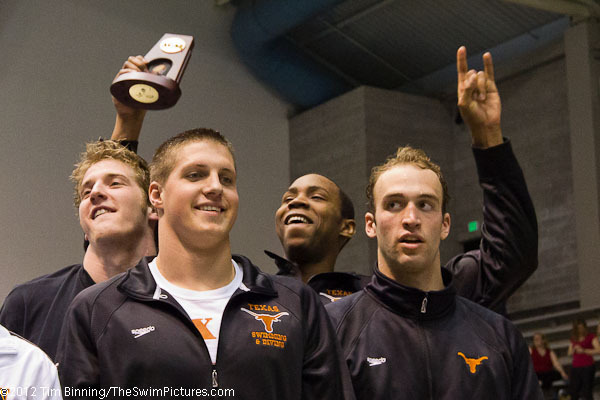 Texas closes out the 2012 NCAA Swimming and Diving Championships with a victory in the 400 free relay. 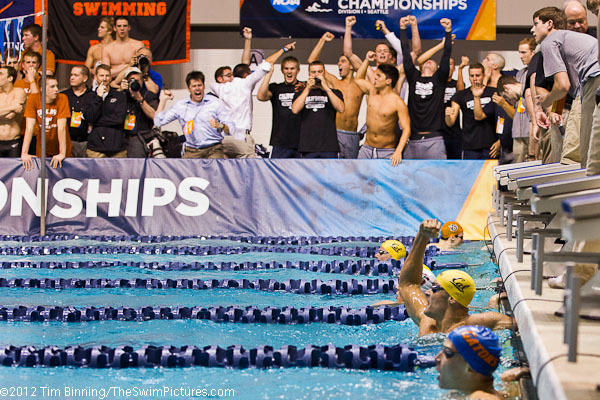 © Photos copyright 2012 Tim Binning/TheSwimPictures.com. All rights reserved.